Where are all those powerful girls and women who crushed it throughout their school years? 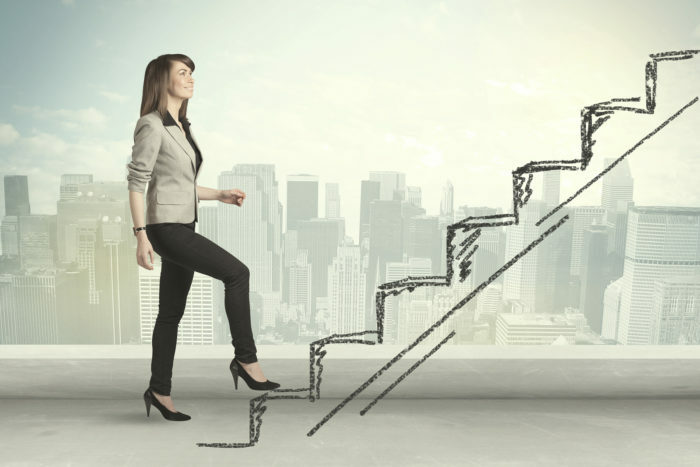 Compared to succeeding in the work world, it’s often easier for women to excel in school because they can do great work without having to defy feminine norms or navigate the likeability costs that too frequently come with being high achievers in the workplace. Women have to realize that their presence in leadership is essential, but if their good work isn’t leading to raises or promotions it’s likely because it isn’t sufficiently visible – on an ongoing basis – to those scouting talent within their organizations. More often than not, female employees are totally unpracticed in the art of making their accomplishments visible when they land in the workplace, and self-promotion can feel forced or awkward. Tara Mohr, author of Playing Big: Practical Wisdom for Women Who Want to Speak Up, Create, and Lead, offers these three ways for women to become more comfortable with promoting their achievements, while keeping those efforts aligned to their values. How can your talents, ideas and accomplishments become more visible to audiences, influencers and decision makers within your organization or field? When you shift the frame to visibility, you’ll notice it’s not all about you. Instead, it becomes about making your work and ideas available to those who can utilize them. Make your work more visible so you can reach those you want to serve. Posting an article on your company’s intranet or hosting a discussion at your office about the innovative process your team has been using makes your achievements more visible and allows other teams to benefit. Sharing your ideas about potential operational improvements showcases your good thinking and can make a positive impact for the customers you serve. For many women, it’s helpful to think about ‘telling the whole truth’ rather than about self-promotion, especially because so many of us tell little lies of omission about our own role in achieving goals. Are you guilty of any of these omissions? Always giving credit to others on the team while not acknowledging your own role. Communicating about areas of a project where you fell short, but not communicating equally about your areas of success. Never mentioning your extra work or off hours spent on a project. Not highlighting your past accomplishments, education, awards etc. – even when they’re highly relevant. Rationalizing away your past achievements, training, education or awards. Confusing the personal path of turning away from external status markers with the devaluing of what you’ve achieved in the past. What we are and aren’t willing to say about ourselves affects our sense of self. Learning to become comfortable with self-promotion is important for professional success, but speaking forthrightly about our accomplishments allows women to integrate those qualities into our sense of self. If we never hear ourselves owning – or even hinting at – what we’ve overcome, created, nurtured, or completed in our lives, how can we embrace competence, strength and resilience into who we are? Continue to use your good-student skill set as a foundation for doing quality work, but also learn the visibility skills that will allow you to continue to crush it throughout your life! A different version of this post appeared on OCTanner.com. Named as one of the Ten Best and Brightest Women, one of the 25 Most Influential People in the incentive industry, and selected for the Employee Engagement Power 100 list, Michelle was inducted into the Incentive Marketing Association’s Hall of Fame and received their President’s and Karen Renk Fellowship Awards. She’s a highly accomplished international speaker, author, and strategist on leadership, company culture, workplace trends and employee engagement.